TSM | JRZ Suspension - Quality Parts that PERFORM! One of the few things we changed on our 2011 One Lap of America winning GT-R was the suspension. We took off the very well made and successful KW Sleeve kit and opted for the JRZ RS PRO kit. This would allow of further suspension tuning and adjust-ability that clearly worked out again . 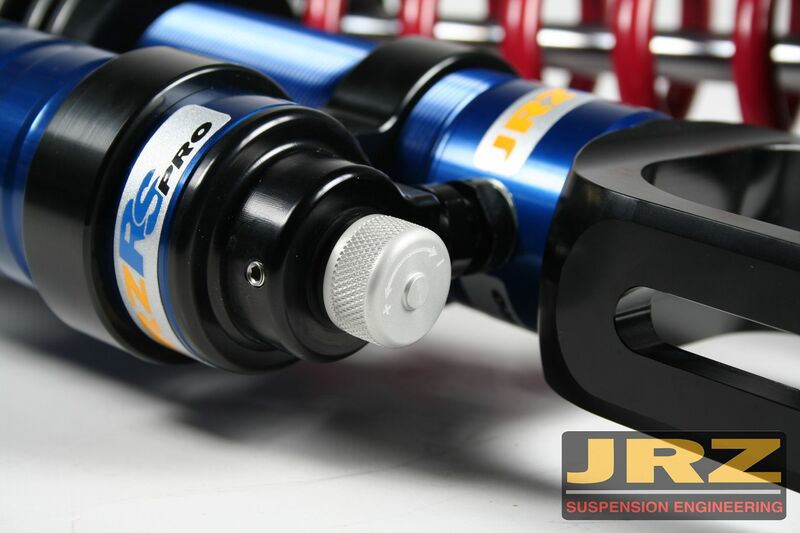 We have been using JRZ Suspension in competition since 2007 when we were running Redline Time Attach. JRZ has always built fantastic quality products and the pieces they build for the R35 GT-R do nothing but continue to raise the bar. 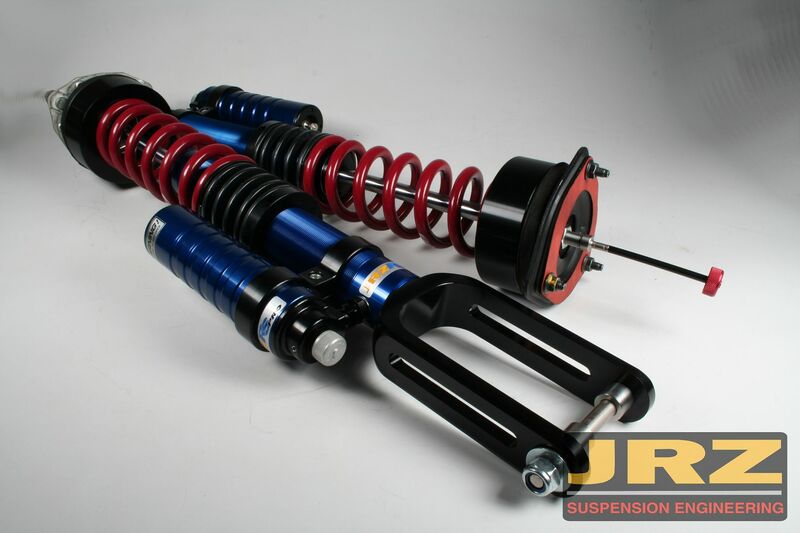 For a limited time, when you purchase any JRZ Suspension Kit for your GT-R, get half off in-house suspension setup! Don't live in Atlanta? No problem! We'll help you with a free setup consultation! The new RS and RS Pro line is developed for the serious club racer and high performance street application. Bred from our winning racing dampers, the adjustment systems of the new RS and RS Pro line, are based upon the same technology as the JRZ race dampers. The new RS and RS Pro line is a high-end damper, at an affordable price. The RS and RS Pro are double adjustable with separate rebound and compression adjusters. Dependable and easy to work with, this system will allow you to use a wide range of spring rates and eliminate the worry of having to constantly re-valve every time you want to increase or decrease your spring rate. They do not require constant maintenance to ensure they work properly - you can put them on and drive! They are made with the highest quality materials and workmanship available. 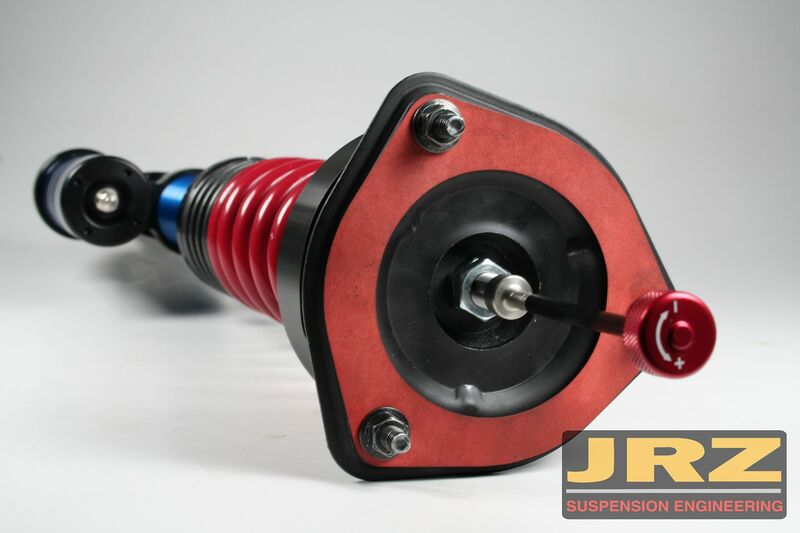 The JRZ RS Pro Silent Edition combines the best features of a street and race coilover system. 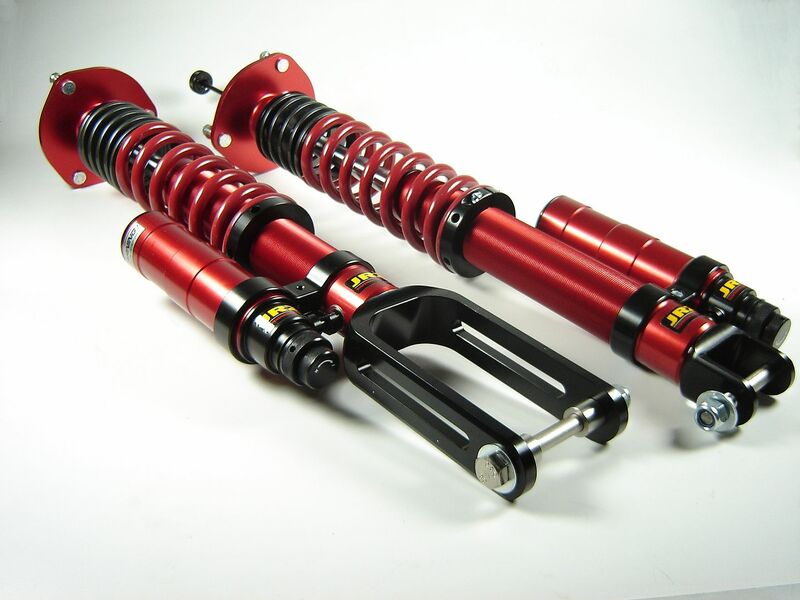 It uses the same motorsports pro body as the race shock, while retaining the top OEM mount. Valving is optimized to match the unique characteristics of an OEM rubber top mount. This results in superb on track handling, while keeping the system very quiet and compliant on the street. The JRZ RS Pro is a canister damper. The design is based on the RS, but the canister makes an even wider adjusting range possible. The JRZ RS Pro is the solution for the pro club racer. The RS Pro has a remote canister with a progressive blow off system. Progressive blow off allows for a stiff compression valving while maintaining smooth response. The result is a damper that provides ultra solid platform with smooth bump compliance. The JRZ standard large 22mm piston rod works in concert to maximize blow off valve response to great chassis control without using a high spring rate in strut applications. In damper applications the piston rod diameter is 16mm to achieve a balance between ride and control. The monotube design makes use of our unique RS Pro piston. By moving more fluid than our standard clubsport damper, the RS Pro achieves a higher level of chassis control. To customize track to track setups and tailor the chassis to the JRZ RS Pro has an extra large adjustment range. Each adjustment is designed to be an even step giving you predictability when making changes. 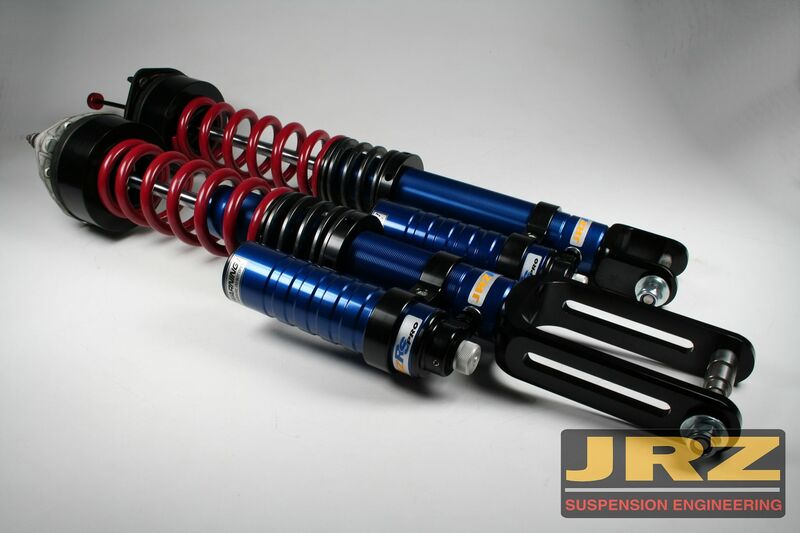 JRZ clubsport dampers are designed to give the chassis tuner ultimate control. The JRZ Racing dampers are used by race teams all over the world competing in race classes ranging from Asian GT to Rolex series, Formula 3 to IRL. The JRZ Racing product range contains single, double, triple and quadruple adjustable dampers. The double adjustable damper is adjustable in both rebound and compression. In addition to the same precise and accurate rebound adjustment mechanism as in the single adjustable, the double adjustable damper has a remote reservoir with the compression adjuster and gas volume. This reservoir is connected to the damper with a Teflon-lined high-pressure hose. With the 22 mm diameter pistonrod, a large volume of oil is displaced by even the smallest movements of the suspension This translates into a very precise and sensitive compression adjustment, necessary for a race car. The triple-adjustable damper has a separate adjustment device to control the low speed compression damping forces without affecting the mid- and high-speed range. Because the large 22mm piston rod provides sufficient oil flow on very small and low-speed damper movements, the low-speed adjuster mechanism is very sensitive and responsive The low-speed adjuster uses a bore design in which the area can be varied. The adjuster is located on top of the remote reservoir and has eight adjustment positions. Changes made to low-speed damping forces (damper rod velocity of less than 1.5 – 2 inches per sec.) have a major effect on handling because corner entry, corner exit, braking, and power down are all about low speed piston rod movements. The high-end 4-way adjustable damper is the top in the JRZ product line. The main philosophy behind the 4-way is the fact that low speed piston movement influences the roll and pitch characteristics of the cars handling. The high speed piston speeds occur when driving over bumps and curbs. The 4-way adjustable damper makes it possible to tune the cars behavior independently in all situations.